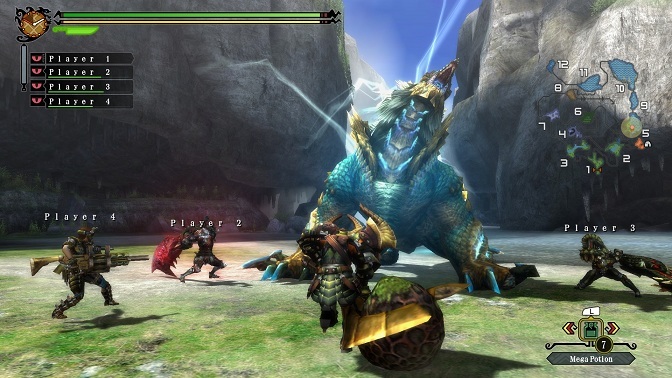 We're still a few months out, but I am really hoping I can play some Monster Hunter 3 Ultimate when it comes out in March. I hope I can get a review copy, because it's going to be hard enough saving my pennies to get a Wii U. I'm not sold on the system, but my Monster Hunter buddies are apparently getting one (mostly for MH3U), so....I guess I'm getting one too. I don't know where I'm going to get the money for one, let alone both. I did plan on eventually getting the 3DS version, since I have one of those. I'm also still sore about the 3DS' price drop, hence my trepidation about buying the Wii U near launch. It does look really nice though. While Tri looked ok, it was definitely a little muddy-looking, so I'm really digging the HD graphics. I'll deal with Jinouga being Zinogre, although I'm not fully sold on that, either. "The replacement for Gobul" and "Hammer Tail" are two names that I really want to see the official English names for. Regardless, I am very much looking forward to the game when it releases. Even though it will have Deviljho and "dat tail".